Check out Hockey Prospect Radio! 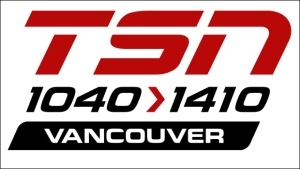 Heard each weekend on TSN Radio Vancouver, hosts Shane Malloy and Russ Cohen present Hockey Prospect Radio - providing in-depth analysis on prospects as they head into the NHL Draft. The National Hockey League's last overall team will have better odds of winning the draft lottery next month and selecting consensus No. 1 prospect Rasmus Dahlin in June. The league confirmed Wednesday, the team with the worst point total this season will have an 18.5 per cent chance of winning the annual draw, which will take place on Saturday, April 28. Last year, the worst team in the final standings - the Colorado Avalanche - had a 17.9 per cent chance to win the lottery and secure the first overall pick. The draw ended up favouring the New Jersey Devils, who took top spot with an 8.5 per cent chance as the league's fifth-worst team and selected Nico Hischier with the No. 1 overall selection. The second-worst team will have a 13.5 per cent chance to land the No. 1 pick, up from 12.1 per cent last year. The third-worst team will have an 11.5 per cent shot at the first overall selection up from 10.3 in 2017 when the the Arizona Coyotes shared that percentage with the expansion Vegas Golden Knights. From 1995 through 2012, the league's rules stipulated that the club selected in the Draft Lottery could not move up more than four positions in the draft order. Thus, the only clubs with the opportunity to receive the first overall selection were the five teams with the lowest regular-season point totals, or the clubs that acquired an eligible club's first-round draft pick. 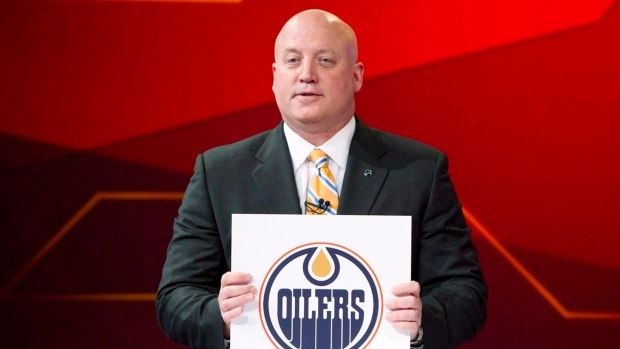 No team could move down more than one position as a result of the Draft Lottery. For the 2015 lottery, the odds were changed, giving less weight to finishing 30th overall. In addition to a more spread out distribution of odds, the opportunity to select first overall was awarded to any team that wins the lottery instead of the maximum four-slot advancement. Beginning in 2016, the top three picks were awarded through the draw, ensuring the team that finishes 30th overall is guaranteed only a top-four selection, instead of the second pick being a worst-case scenario.